Using e-learning technology to provide an interactive and enjoyable experience and based on our expertise in delivering highly acclaimed 'real world' courses for tens of thousands of delegates all around the UK. Online e-learning courses for making the most of early and later life! We offer the online course for Retirement Planning both as an ‘after the event’ addition to our real world courses and as an alternative to them where significant employee numbers make this a more attractive cost option for the organisation. The Early Career Financial Education course offers a great employee benefit in an extremely cost effective way by providing education on the essentials of managing money and basic financial plans to a young workforce in a fun way that will help them throughout their careers. The aim of the online Retirement Planning course is to assist employees to reach retirement with both lifestyle plans and adequate finances to support those plans. By providing alternative paths and optional levels of detail it addresses the needs of those needing to make decisions, whether they are within a few years of retirement or are still 10-15 years away. If the course is used in conjunction with our real world Planning Retirement course it allows delegates to further develop over time, at their own pace, both the lifestyle and financial plans that they had started to formulate. In particular the finance section includes additional material normally only available on our 2 day Retirement Planning courses and covers the aspects of planning that a Financial Advisor would take one through so goes into the full breadth and depth of the two day course. 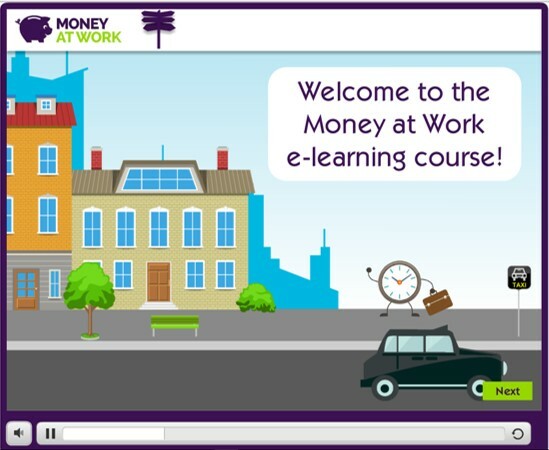 The early career online Financial Education course assists employees to understand the essentials of finance including budgeting, avoiding or getting out of debt, saving, mortgages, insurance, pensions and other key financial information. The courses use e-learning technology to provide an interactive and enjoyable experience and use different communication approaches tailored for the different employee demographics. Online courses can of course never deliver quite the same value as face to face courses because of the value of the interaction, and the shared ideas, with other delegates, as well as with the trainer. However, where there are large numbers of employees involved and especially if they are also spread across different sites the e-learning courses can provide a cost-effective option. 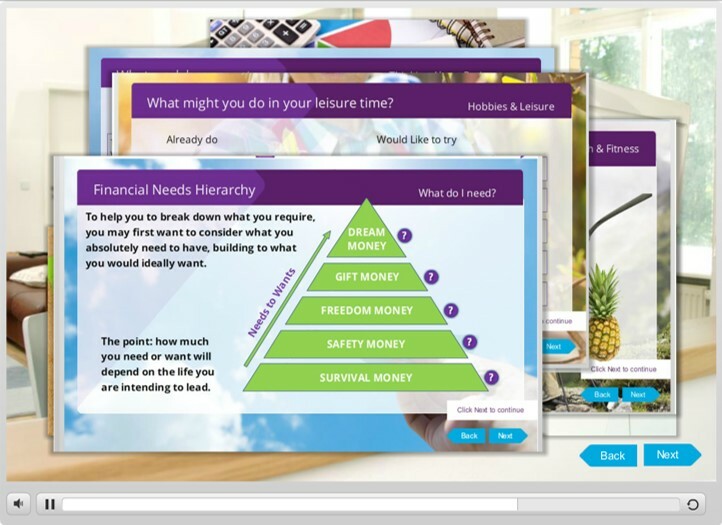 The Planning Retirement course, similar to the real world course, satisfies the goals of both HR and Pensions in providing a valuable employee benefit and at the same time supporting Pensions and Pension Trustees’ responsibilities in providing information to employees in a world of Pension Freedom. The courses can be used standalone, or in conjunction with real world courses, and can be made available either via the new Jelf/LaterLife web site www.planonline.co.uk, or since the courses are SCORM compliant, can be hosted within an organisation’s own Learning Management System. Packages are available for large and small organisations and options are also available for creation of bespoke courses e.g. to include details of an organisation’s own pension scheme or company benefits. The planonline site provides a shopping cart facility to purchase small numbers of licences for employees online. For purchases of 20 or more licences organisation packages are available and you can use the enquiry form on the site to request more details.